Brand New From DeLuca ink. comes this Showa Sanshoku inspired Roller ball. 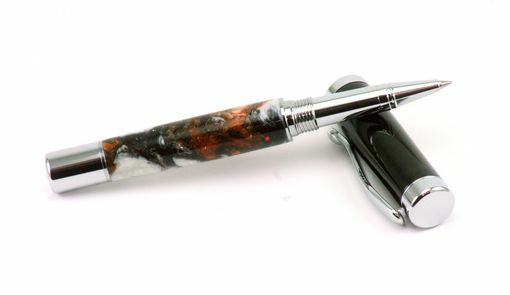 The unique hand made Koi pattern shimmers like true koi scales. 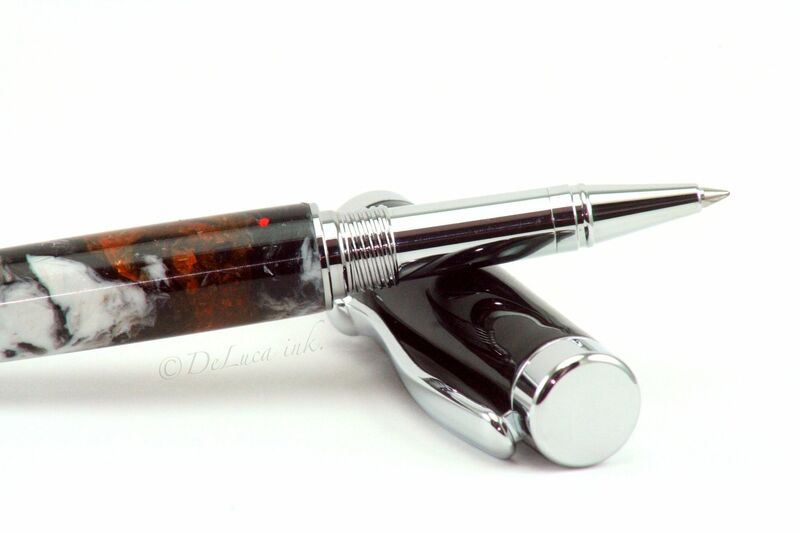 Featuring a mix of Orange, Black, Silver, and pearl white resins and one small red beauty mark. 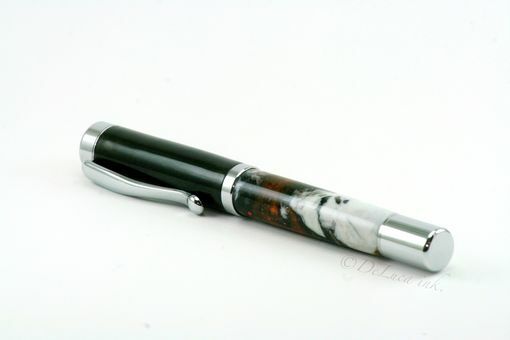 Screw style cap made from coal black resin and is non postable. Koi have always been a favorite fish of mine as my father raised Koi when I was younger. **Available as a Fountain Pen as well. Just drop us a message for details!